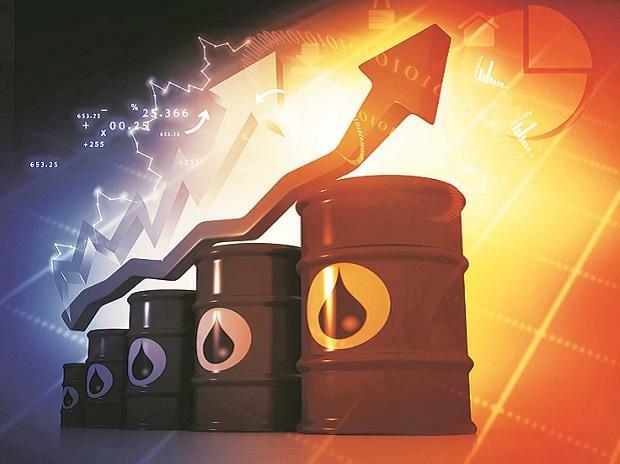 A sudden surge in crude prices can upset the nation's key macro-stability parameters, as it can sharply spike the current account deficit (CAD), inflation and the fiscal numbers, whittling the benefits of higher growth, warns an RBI study. Since the country is heavily dependent on oil imports to the tune of over 80 per cent for meeting its domestic demand, it remains susceptible to global crude price shocks. Besides CAD, rise in crude prices can also impact inflation and fiscal deficit, says the report. The international crude prices increased by around 12 per cent between April and September 2018. The mid-year spike in crude prices happened mainly due to spurt in demand, on the back of global growth revival, and partly due to geopolitical risks that led to supply-side shocks. However since mid-November 2018, the crude prices have declined significantly but they remain volatile. "An increase in crude price worsens the CAD and this adverse impact cannot be significantly contained through a higher growth. So, a crude price shock will be followed by high CAD to GDP ratio," says the latest issue of the Mint Street Memos titled 'The Impact of Crude Price Shock on CAD, Inflation and Fiscal Deficit' pencilled by in-house economists at the central bank. The finding shows that in the worst case scenario, when crude prices hit USD 85/barrel, the deficit on account of oil balloons to USD 106.4 billion, which is 3.61 per cent of the GDP. "Every USD 10/barrel increase in crude prices leads to an additional USD 12.5 billion deficit, which is roughly 43 bps of the country's GDP. So, every USD 10/barrel increase in crude price will shoot up the CAD/GDP ratio by 43 bps," it says. The study says crude price shock will increase inflation, if the price increase is passed on directly to the final consumers. "Under the most conservative estimate, we quantify that a USD 10/barrel increase in crude price at the price of USD 65/barrel will lead to a 49 basis points increase in headline inflation. A similar increase at USD 55/barrel gives around a 58 bps increase in headline inflation," it says. Further, if the government decides on a zero pass-through to the final consumers, a USD 10/barrel spike in crude prices could increase the fiscal deficit by 43 bps. This zero pass-through scenario allows us to put an upper band on the amount of fiscal slippage, it adds. The actual inflation and fiscal deficit will finally depend on the level of government intervention (changes in tax and subsidy) in the domestic oil market, the study concludes.